If you receive a payment in cash or via a means other than using NutriAdmin, you can still record this payment in the system. Moreover, your client will receive a receipt via email automatically as you add this payment to the system. This can help you keep all of your earnings recorded into one system and make it easier to do your accounting as well as ensuring all your clients receive receipts. Step 1: Click on Online Payments. 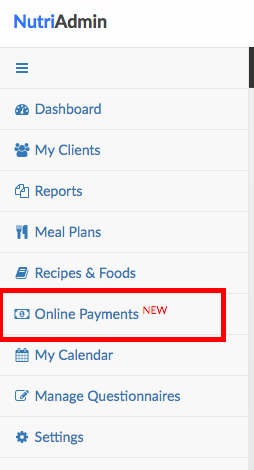 Step 2: Click on New Payment on the top-right corner of the screen. 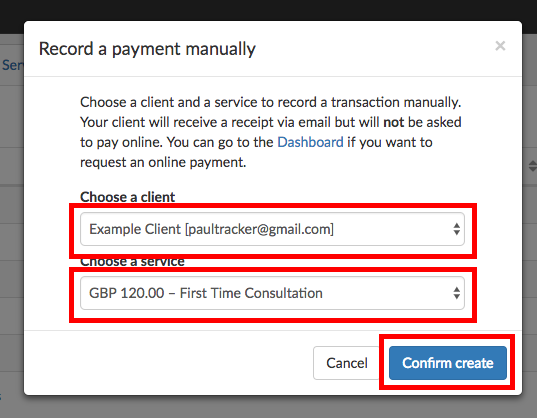 Once you have selected a client and a service, click on Confirm create. The new charge will show up in your payment history as illustrated below. Notice the Manual status for the charge. 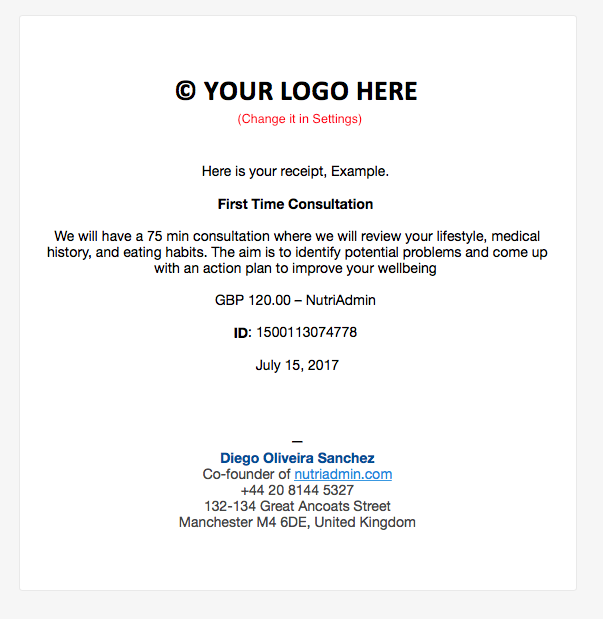 Your client will receive an auto-generated receipt as soon as you create the charge in NutriAdmin. Below is an example of how a receipt may look like. Note: If you create a charge manually it is implied you have received funds from your client via cash or any other means outside of NutriAdmin. NutriAdmin will not try to bill your client when you create a manual charge.